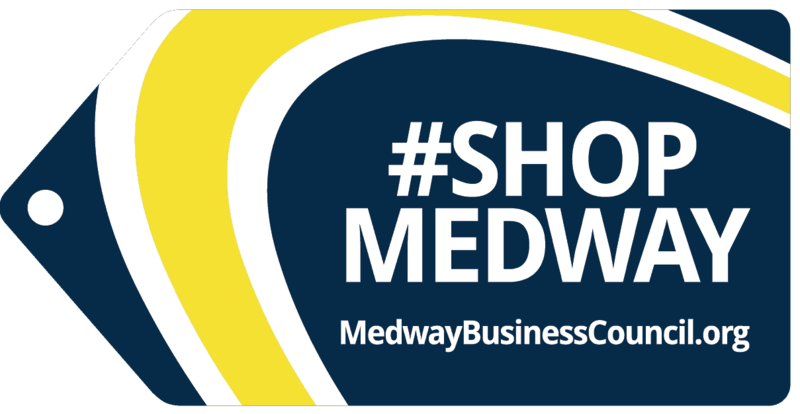 #ShopMedway is a Medway Business Council (MBC) driven initiative designed to boost Medway’s economy by encouraging shopping local in Medway for retail, restaurants, services and more. Have you ever thought about the difference your purchases make? Get onboard and support the businesses that make Medway a thriving community. To join MBC, visit our webpage, Join the MBC page. #ShopMedway is a free benefit to Medway Business Council (MBC) members. Membership dues are just $95.00 annually. There aren’t many places (if any) that you can run an advertisement or get your information posted on a community website for less than $8.00 a month to get your business in front of consumers. You’ll also enjoy other member benefits plus helps you network with other local business owners. What can your business offer to encourage consumers to check out your business? Expiration date. . Do you want this to be an ongoing offer or is there an expiration date? Free consultation or reduction fee. If you’re a professional service provider and don’t have a tangible product, this is a way you can make an offer. Giveaway for our Facebook page. People love contests and winning free prizes. Instead of or in addition to a discount, you may want to offer a gift card or item that #ShopMedway can use as a contest prize. Contests can generate a lot of visibility and build name recognition for your business. #ShopMedway has two channels to help communicate about your business. On our Facebook page, we share news, discounts, offers and promote FREE giveaways. Members can have an offer posted once per month. #FreebieFriday is a great way to promote your business. Each week on #ShopMedway Facebook, we’ll promote a free giveaway provided by a #ShopMedway business from Monday through Thursday. A winner will be drawn on Friday, and we’ll let you know who the winner is so that you can fulfill the prize. On our #ShopMedway page, we’ll post a coupon from your business with an offer or discount. We ask that coupons be valid for at least 3 months to give consumers time to find it and to help us with administration of the page. It’s a great way to set an offer Consumers can print out a coupon or show the coupon it to you on their smartphone. 4) Communicate the details of your offer to us. We’ll do the rest! Send an email to us at shopmedway@gmail.com to tell us about your offer or giveaway and if you’d like to promote it on Facebook, Coupon Page or both! We’ll take it from there promoting your business on #ShopMedway. Don’t forget to train your staff about #ShopMedway, so they will be prepared to respond appropriately and know how to redeem your offer. Publicity – We’ll promote #ShopMedway on social media (i.e. Friends of Medway), a program on Medway Cable, and in the local media on a regular basis to help create a buzz. As they say “A rising tide lifts all boats”. Your business will benefit more the greater the community is aware of #ShopMedway, so here are ways you can do your part to ensure our mutual success. Decal - Displaying a #ShopMedway decal proudly in your office, store or restaurant window communicates your dedication to the local economy. MBC members can request a free 5x3” clear window decal. Support our local economy – Assist businesses across all categories and of all sizes. When small businesses succeed it’s good for our community. Help local businesses gain exposure to more consumers – We strive to provide an affordable way for businesses to be visible and promote their products/services. Where else can you be able to promote your business all year long for just $95? Leverage the power of working together – By local businesses working together to create a unified voice, we can increase awareness of the importance of shopping local to the Medway community, and gain more visibility for all involved. Create an online community. Leverage the power of social media and the MBC website to create an online community where consumers, who want to support local businesses, can learn about opportunities to do so. Grow MBC to be an even more vital organization by encouraging Medway businesses to join. #ShopMedway provides additional value to members and increases engagement. By becoming an MBC member, your business can gain exposure through #ShopMedway as well as other member benefits.